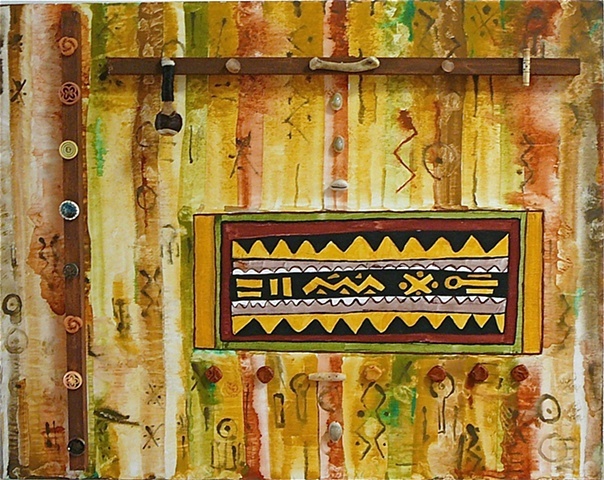 mixed media on wood: watercolor paint, painting of mud cloth fabric, bone, shells, nails, wood stripping, african fetish, buttons, beads from africa. Jennifer, this is absolutely beautiful, your talent is so far reaching ... a great pleasure to see this new art form !! Very very very nice image, Jennifer...!Love the colours! Hello..!!! Amazing composition! The entire collection is great! Bravo, Jennifer! beautiful image, great art work !